Hiring a great keynote speaker can make a huge difference in the success of your event. A professional speaker can challenge the ways attendees think about a subject, and inspire them to improve. A great speaker will share models and methodologies that attendees can learn and implement in the same day. That is the bar that we have set at Indaba Global, and our speakers aim to meet and exceed expectations at every step along the way. Break away from the monotony of the day to day routine that leaves employees uninspired and unfulfilled. Hiring a motivational speaker to speak at your event is a great way to inspire individuals and get your entire team on the same page. The experience of being in the same room, asking questions, and being a part of an event with a great speaker leaves a lasting impression. What makes Hellen's Speeches Different? Hellen Davis has delivered sales, motivational, and strategic planning presentations worldwide. Her keynote addresses are described as dynamic, motivating, captivating, and educational. Hellen's experience and experiences have left her with more stories than she could ever fit into a speech or even a book. Born and raised in South Africa, Hellen later moved to The United States. She has more stamps in her passport than most and is quick to jump on a plane and add more. She has her CLU, financial planning sales experience and has started and run several companies over the past 26 years. You will be hard pressed to find someone with more experience than Hellen Davis. Hellen says, "The experience I had selling financial products and services, as well as my experience in air sports (skydiving, flying, and hang gliding), was the grounding and springboard for the goals I have achieved. This unique combination of experiences forced me to confront fear, overcome adversity, plus it taught me that to a large extent survival depends on achieving a high level of knowledge in the endeavor I am undertaking." Many people – salespeople, managers, executives - practice negative self-talk without thinking about it. This directly impacts their behavior. Self-Talk sets off chain reactions; just like the Theory of Chaos’ “Butterfly Effect”, you never know where it will lead and how much impact it might have down the line creating a monsoon or tsunami. Negative self-talk sets you up for failure and can lead to things such as burnout, arguments, poor performance, and lack of confidence. Positive self-talk centered around accountability has been proven to set off monstrous waves of success. The questions are: How do you harness the Self-Talk to create the tsunami you want? If you know the principles and plug them into your practice, is it really that simple? Self-accountability and group accountability drive people and organizations forward. Learn how the mind makes decisions to do or not do. 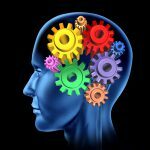 Learn the difference between unconscious, subconscious and conscious minds; and how these independently and cooperatively affect decision making, actions, habits and profitability. 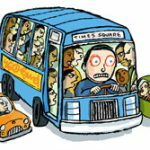 We’ve all heard the expression, “They’re on the bus or off” and “We’ve got to get the right people on the right bus in the right seats.” But what exactly does that mean? How do you do this without guessing, making lots of mistakes, and going down the wrong highway? How do you get from where you are to where you want to be in your professional life? How are your actions (your driving and braking style) impacting your life, your business, and your relationships? How does the driving style of others on your ‘professional bus’ help get you to where you need to be? By using the bus metaphor the speaker explains how managers, executives and sales people who often have the technical skills to succeed, can acquire the consistent behavioral competence (the driving and braking) skills and habits they need to succeed and to avoid failure. At work, the decisions we make and the actions we take can set events in motion. In fact, each choice we make or action we take is like toppling the lead domino in a string of dominos. We rarely think deeply enough about the potential impact or lasting effect - positive or negative - that a small action, a kind word, or a decision may have on others. It's called the Domino Effect. In that sense, Noble Intent is similar. The things you do - intentionally or unintentionally, nobly or ignobly, right or wrong - can set powerful forces in motion. We have an effect - positive or negative - on everyone we touch, just like the Domino Effect. No matter how insignificant the action may seem - it does make a difference. Most companies, executives, and salespeople are concerned with the revenue and commissions. This can lead to driving employees and customers to take a results-oriented approach that can kill the service they provide. Pushy salespeople and negative PR are often associated with this type of mindset. Having Noble Intent and assuming Noble Intent in others builds trust, and trust builds relationships. When you have strong relationships with clients built on Noble Intent the rewards inside the Trust Vault are life-changing! 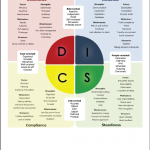 DISCflex Assessments are a great way to get to know yourself and others. Attendees will learn about the 4 quadrants of behavior and how each affect our everyday lives. Learn how to communicate using behavior patterns. Learn how to recognize people’s primary communication preferences and how to adjust yours to match theirs. Accountability- Why is it important? Self-accountability and group accountability drive organizations forward. Learn how the mind makes decisions to do or not do. Learn the difference between unconscious, subconscious and conscious minds affect decision making and actions. If you enhance skills and adjust behavior simultaneously you will get transformational results. There is a process for growing yourself and others called the Performance Behavior Matrix. Learn how to capitalize on your strengths and mitigate weaknesses as you face life’s challenges. Learn how to deal effectively with the complexities and phases of change that can occur in an organization going through transition. Proven models help make solid decisions whether the changes are currently happening, coming soon, or are off on the distant horizon. Learn how to systematically move people through change in a manner that encourages creativity and innovation. Learn how to make solid decisions based on a rational decision making process. 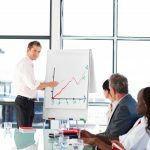 The session details a step by step methodical process that can assist all levels of employees understand the fundamentals of effective decision making. We explain relevant psychological theories and discuss common biases in order to equip decision makers with the knowledge and tools they need to make the best possible decisions for your organization. Management needs to know how to deliver feedback effectively, and set the stage for maintaining an environment where continuous improvement through effective feedback is the norm. This session instructs management on how to give proper feedback to employees for optimal results using psychological models and the Principles of Noble Intent. Also, learn how to transition into coaching after feedback has been delivered. Giving people objective, positively oriented, non-judgmental performance-based feedback plays an intrinsic role in maintaining a keen focus on improving an employee’s skills, while keeping the company’s bottom line healthy. Goal setting is both a magical and rational process. The recipe for effective goal setting is simple and fulfilling. Start with big heaping mounds of inspiration, then fold in a healthy dose of imagination. Once the combination starts to gel, add values, needs, and desires to the mix. As you stir up your goal setting concoction, you start generating energy. The energy that you create powers the oven so that your goals come out fully cooked and perfectly baked. Creating goals makes a state of readiness possible. When people get ready to start working on their goals, anticipation begins. When you define goals and write them down on paper, make pictures of what you want. When you graphically represent your goals, you become excited about the prospect of achieving them. If you are one of the disciplined few who spends time thinking about their goals and then creating a goal playbook, chances are you will be more successful than the majority of your peers in getting what you want from life. Teams are necessary within any organization in order to generate ideas, formulate strategies, carry out plans, and complete projects. Solid team practices must be integrated into your organization for success. You’ll learn from the ground up how to effectively implement teamwork into your workplace. Learn how to formulate a team strategy, build a solid team, and how to run effective team meetings. The course outlines team member’s roles as well as how to achieve team cohesion and develop a cooperative team environment. Learn how to motivate employees towards self-improvement and towards accomplishing the organization’s strategic goals. The session reinforces that evaluation and feedback are critical tools for helping to ensure that your employees are on the right track at all times, for themselves, their department, and for the organization as a whole. The session takes participants through the process of cultivating productive employees through evaluations and ongoing, timely feedback. We realize that without appropriate communication of performance objectives, the formal evaluation process falls apart. Performance management encompasses providing feedback to employees based on the three key fundamental areas of performance based on expectations, conduct and behavior, as well as attendance adherence. 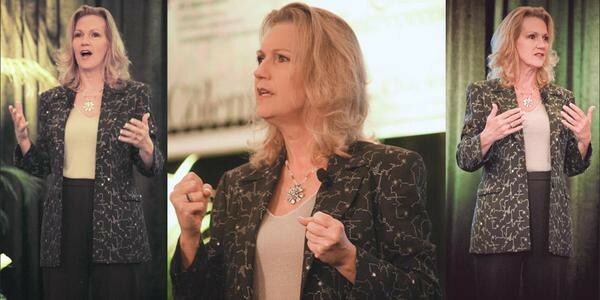 Hellen's keynotes focus on communication, strategic planning, hiring the right people, influencing strategies, sales training, and performance management. When leaving one of Hellen's events attendees will feel inspired to act. Hellen will deliver a step by step action plan that, if followed, will guide you down the path to success. Attendee's view of the subject matter will undoubtedly be changed forever. We will present a custom package to your team tailored specifically to your company's goals and "hot button" issues. We can come to you and do it your way, or we can handle everything including food, venue and everything in between.